Robbins Geller Rudman & Dowd LLP has announced a class action has been commenced on behalf of purchasers of shares of the LJM Preservation and Growth Fund (MUTF: LJMAX, LJMCX, LJMIX) during the period between February 28, 2015 and February 7, 2018. LJM Funds Management is a liquid alternative investment management firm specializing in volatility strategies. The complaint alleges that defendants made false and misleading statements and/or failed to disclose material information in the Registration Statements and Prospectuses (the “Offering Materials”) issued in connection with the sale of Preservation Fund shares to investors. Specifically, contrary to defendants’ statements in the Offering Materials, including that the objective of the Fund was to “seek capital appreciation and capital preservation with low correlation to the broader U.S. equity market” and to “preserve capital, particularly in down markets (including major market drawdowns),” the Fund was not focused on capital preservation and was overexposed to the risk of volatility and a down market, as was demonstrated when the value of Preservation Fund shares fell approximately 80% in just two days as markets dropped and volatility spiked. 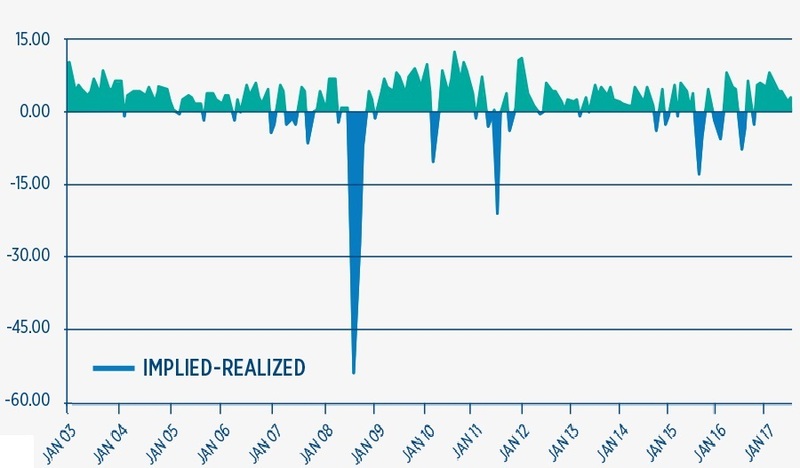 While the Fund purportedly sought to preserve capital and obtain growth by betting against market volatility, the Fund actually made massive and unmitigated bets that would expose investors to excessive risks and catastrophic losses of capital, even in a moderate down market of less than 5%. As a result of defendants’ false statements and/or omissions in the Offering Materials, the net asset value (“NAV”) of Preservation Fund shares was artificially inflated to as high as $11.47 per share during the Class Period. On Monday, February 5, 2018, while the Dow fell approximately 4.6% and the S&P fell 4.1%, the NAV of Preservation Fund shares plunged 56%, from $9.67 per share to $4.27 per share. Then on February 6, 2018, the Dow and S&P increased by approximately 2% while the NAV of Preservation Fund shares fell again, to $1.91 per share. Thus, while the Dow and S&P suffered a modest downturn of just 2% over two days, the Fund suffered a cumulative loss of approximately 80% of its value, erasing more than $600 million in just two days. On February 7, 2018, the Fund filed a notice with the SEC stating that it was “closed to all new investments.” In an SEC filing dated February 27, 2018, LJM Funds and the Trust announced that they had decided to liquidate and dissolve the Fund. 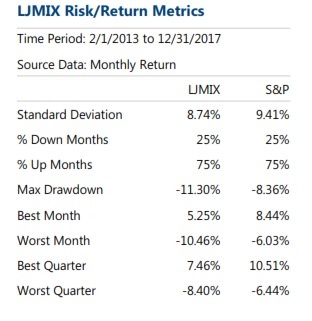 The senior-level portfolio and risk managment team of LJM has more than 50 years combined experience managing volatility strategies through an array of market conditions, including 2008. According to the fund’s blurb LJM’s goal is to allow investors to take advantage of the team’s skills with the ease and advantages of investing through an open-end mutual fund, the LJM Preservation & Growth Fund.The LJM Preservation & Growth Fund. received a 5-star rating from Morningstar in the Options-based category out of 82 funds for the three-year period ending 12/31/17, based on risk-adjusted returns. the annual management fee is 1.95%. The Plaintiff seeks to recover damages on behalf of all purchasers of shares of the Fund during the Class Period. The plaintiff is represented by Robbins Geller, which has extensive experience in prosecuting investor class actions including actions involving financial fraud.